I, Robert P. Gray, of West Deer Township, Allegheny County, Pennsylvania, being of sound and disposing mind, make this my last will and testament, hereby revising any wills heretofore made by me. 1st. I direct all my just debts and funeral expenses to be paid as soon as convenient. 2nd. I direct that my body be interred in the Cemetery connected with the Bull Creek Presbyterian Church, and that a good and suitable tombstone be erected over my grave and the grave of my wife as soon as practical. 3rd. I bequeath to the Trustees of the old Presbyterian Church located on Bull Creek, Allegheny County, Pennsylvania, and known as the Bull Creek Presbyterian Church, whether incorporated or not, the sum of one-hundred ($100.00) dollars [$1,405 today], to be paid as soon as possible but at least within two years. 4th. I bequeath to the Trustees of the First Presbyterian Church of Lynn Haven, Florida, the sum of one-hundred ($100.00) dollars, to be paid as soon as possible but at least within two years. 5th. I bequeath to Mrs. Mary Bryce [widowed aunt on mother’s side], wife of D. K. Bryce, in return of kindness extended to me, the sum of one-hundred ($100.00) dollars, to be paid within one year of my death. 6th. To my sister, Sarah J. Gray, I bequeath the sum of one-hundred ($100.00) dollars, to be paid within one year of my death; if she dies before receiving this bequest, I direct that the amount thereof be paid to my sister, Martha A. Edmonds. 7th. I give, devise, and bequeath to my son, William Garfield Gray, the old Gray Homestead in West Deer Township, acquired by me under the will of my mother, Elizabeth Gray, together with all the buildings there on and connected therewith; also all of the property purchased from the Ritz heirs and adjoining the above homestead farm which lies north of the creek running through this tract. 8th. I give, devise, and bequeath to my son Paul Barton Gray, lot number seven (7), Block 10, Section 19, Township 2, South, Range 13 west, at High Point, Bay County, Florida. 9th. I constitute and appoint my son, William Garfield Gray, and my daughter, Janet G[ray] Keller, executors here of and authorize them in their discretion to sell all the other real estate [illegible] possessed. 10th. All the rest, residue, and remainder of my estate, real, personal, and mixed, I give, devise, and bequeath to my four children, Russel[l] Stanley Gray, William Garfield Gray, Paul Barton Gray, and Janet G. Keller in equal shares. Officially admitted to Probate and Letters of Administration granted February 28, 1928 to William G. Gray and Janet G. Gray in Pittsburgh by Joseph N. Mackrell, Register of Wills, Allegheny County, Pennsylvania. Comments: Robert Patterson Gray (1844-1928) died February 15, 1928 of what the doctor called “Locomotor ataxia,” or the inability to precisely control his body movements, which caused him to walk in a jerky, non-fluid manner. A contributing cause of death was “Anemia,” or a deficiency of red blood cells causing “general weariness.” His death certificate also lists “Sepsis,” harmful bacterial infection in the bloodstream. My great-grandfather was 84 years old and had led a full, ambitious life. 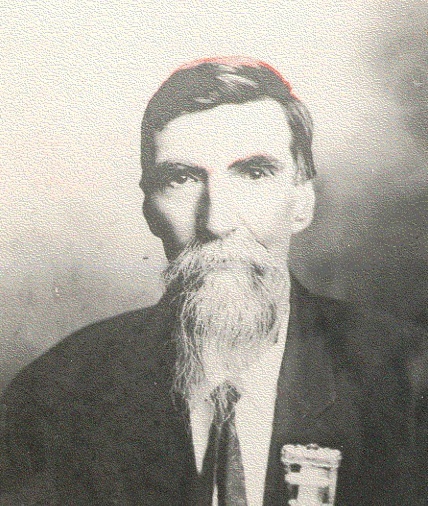 He had been caretaker of his father William Sylvester Gray’s (1816-1879) farm while William and Robert’s older brother Samuel Alexander Gray (1842-1919) were off fighting in the American Civil War (1861-1865). See the story on William and Samuel’s adventures with the Pennsylvania 63rd Regiment, including their bouts with Typhoid Fever. After William returned home on a medical discharge and Robert reached maturity, Robert joined the Union troops, serving in the Pennsylvania 6th Infantry Regiment, Heavy Artillery Division and journaling his experience. Samuel became a prisoner of war at Chancellorsville in 1863. After the war Robert and Samuel accepted homestead property in Missouri, but Robert returned home before his father’s death to help on and eventually inherit the farm. Years later, he passed the farm on to his son William and traveled to Florida to tend his investment properties there. Robert’s wife, Annie Sims Norris Gray (1850-1922), spent time in a sanitarium with health problems around 1911 and sent postcards to her daughter Edna “Janet” Jannette (1887-1980), which have been preserved and provide a better understanding of life on the Gray farm. Robert had invested in Florida properties, popular with Civil War veterans from the North, and unfortunately spent a great deal of time there. We have a collection of letters to his wife, brother, sister, and daughter to document this time away. He did get home to spend time with her before she died, six years before he did. 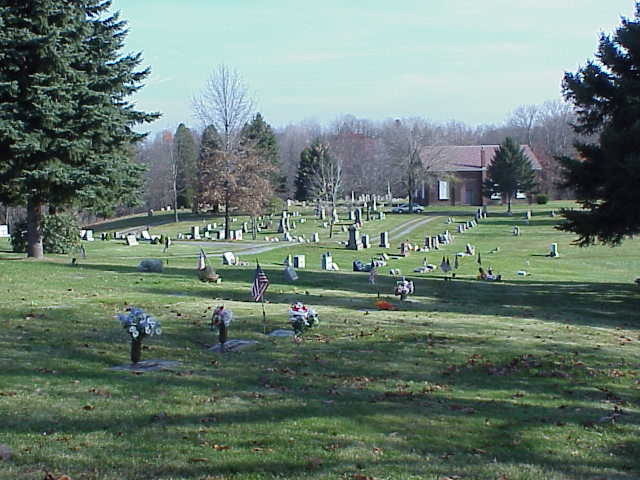 Old Bull Creek Church & Cemetery, West Deer Twp. 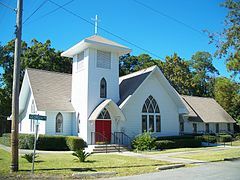 Robert was a devout Christian, so in his will he made donations to two churches totalling $200, or $2,810 by today’s value, one the family church, Bull Creek Presbyterian, and the other the First Presbyterian in Lynn Haven, FL, which he referred to in a letter in 1913. Great-grandfather also loved his extended family. Mary Pillow Bryce (1856-1940), was given $100 in Robert’s fifth bequest. She was adopted and raised by Robert’s sister Nancy & husband George Pillow after early death of her father, Dowling Norris (1829-1858) . George was a wealthy engineer with no children. Mary became an accomplished still life painter and musician and married Pittsburgh glassmaker David Bryce, who also died young, once again leaving Mary alone in the world. She must have made an impression on her nephew Robert because he refers to her “kindness to me” and awards her a monetary gift. Robert and Annie’s first born child (1885-1886) was named for Mary Bryce but died in infancy. Robert’s older sister Sarah Jane “Jennie” (b.1838) never married and cared for their mother until Elizabeth’s death in 1895. No wonder her Mother Gray made such generous provisions for Jennie in her will, including a place to stay on the farm. Robert gave her $100 in his 1928 will. After Mother Elizabeth’s death in 1895, Jennie moved to the State of Washington to live with her younger sister Martha Anna “Mattie” (b.1853), who had married a minister. We have several wonderful, if not sad letters from Mattie in 1908 describing Jennie’s failing eyesight and general health, saying that she has to be cared for at every turn. This must have been a real burden for Mattie, who has her own problems. Fortunately, Jennie’s family and friends from back East remembered her, and brother Robert sent money from the profit of the Gray family farm for her care for at least five years, as prescribed in their mother’s will. The will also had provided some money for Mattie, although that had run out in 1901. My Grandfather Paul Barton (1892-1977) was awarded a parcel of land in Bay County, Florida, that Robert calls High Point. Today it’s all part of Panama City. We don’t know when Paul might have sold the land in favor of a wintering ground on the Gold Coast, but we’ll explore that further in a future article that includes a log kept by my Aunt Edna Ione Gray (1920-1997) who traveled their with her parents, Paul and Bertha. Item nine in Robert’s will named daughter Edna “Janet” Jeannette (1887-1980), who had married Howard Kellar, and son William “Will” Garfield (1889-1970), who had married Bertha Bonin, as co-executors. 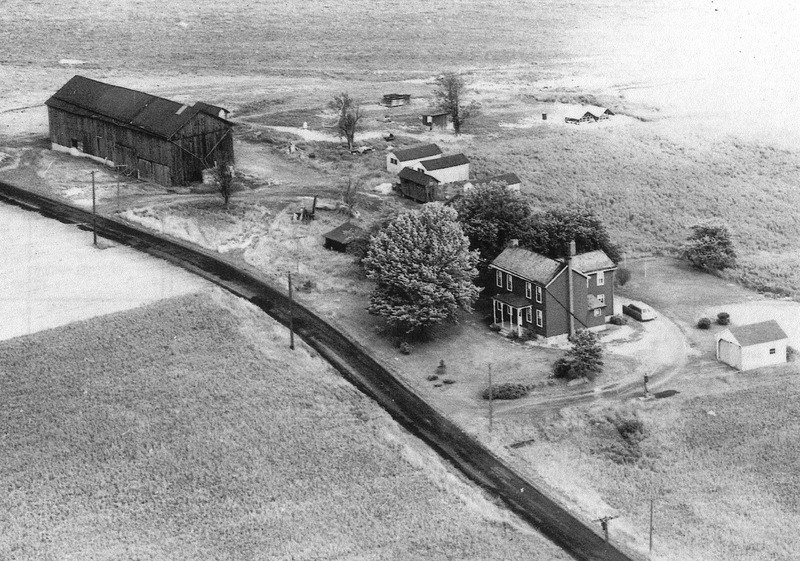 Will also inherited the farm, which until its sale in the mid-2oth century, had been in the Leslie-Gray family for five generations and perhaps 150 years. All of Robert’s children, including Russell Stanley (1891-1955), were included in the division of the estate’s “remainder.” We can only guess that Stanley didn’t receive land or money was because he had become a successful local Ford dealer at the time, the Roaring Twenties, when the public was so desirous of the automobile. He is referred to in the book about the 1927 Great Western Pennsylvania Coal Miners’ Strike. Finally, and I find this ironic, this Last Will and Testament was recorded by a Joseph N. Mackrell, perhaps a relative of Robert. Our MacKrells had married into the Norris family, Robert’s wife’s line, came to America from Northern Ireland, settled in West Deer Township, and even have a road named after them. In conclusion, it’s impossible to put further monetary values on Great-Grandfather Robert’s estate, but what’s most important, it seems, is how he remembered his church and his family, in that order. His Last Will and Testament is a simple document, more so than his mother’s with all its provisions, but it no doubt reflects a hard-working, no nonsense, thorough and thoughtful third generation Scots-Irish American to whose bloodline I’m proud to belong.